I would not call myself a super healthy eater. I eat preservatives, I eat fast food, my fruit and veggies are rarely organic and I will pound some gluten. I love an ice cold Coca Cola and it's hard to explain my love and devotion to red wine. 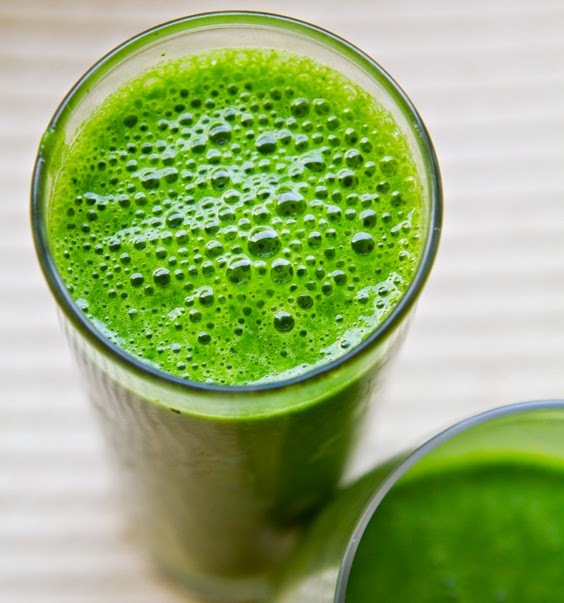 BUT, every morning I combat those yummy habits with a green juice. I don't have a fancy juicer, I just toss everything in the blender and chug it down. Many mornings it is replacing my coffee...I think it gives me more energy and definitely makes me feel better about what I'm drinking, but mostly, I have seen physical changes in my skin and vanity is the best motivation. Blend all of the ingredients until smooth and drink it up! There are so many variations and I love adding a tablespoon of chia seeds and flax seeds to keep me full longer. I can also share it with the bohoBabies, that green mustache makes ya feel pretty damn good as a mom!